It was another exciting and blessed week for us out here in Long Island. I hope you can say the same wherever you are. This past week we celebrated some wonderful feast days including St. Francis of Assisi. In conjunction with that feast, Saints Philip and James Parish in St. James, NY, where I serve as a pastoral associate, held a Renewal Commitment Morning for those involved in Liturgical Ministries. Fr. Kevin Cronin, OFM, conducted the gathering, and it is some of his ideas that I share with you. Fr. Kevin shared something about St. Francis that really struck me. When Francis’ encountered the leper, dismounted his horse and embraced the man, it was a conversion point for Francis. When he embraced the leper, he realized that he, Francis, was the leper and that there were things that he needed to heal within himself. It made me think of all the times when I get agitated about someone’s actions. Perhaps, it is the shadow side of me -- the leper that is screaming out. If we can step back and just look at the situation, perhaps our judgement of the individual or of the situation may change. There are people out there who can be our lepers and push our buttons. How do we deal with them? 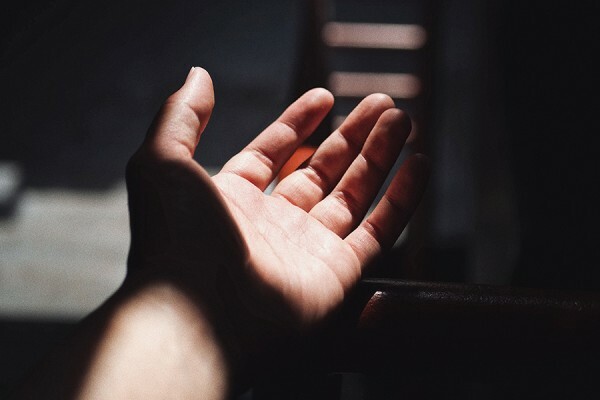 Perhaps we need to take a look at our shadow side – our leper within -- and pray for the grace to grow in the trust that our lepers will show us the way to a greater relationship with God. Recognizing that we are lepers can be upsetting, but there is truth to it. Even resisting that statement tells us something about ourselves. What do you say? I know I still have more to do with my dark shadow, leper side. Here is where prayer, reflection, and direction are necessary. My prayer for you this week is that you can recognize your leper and continue to work with your shadow side. May your week be blessed.